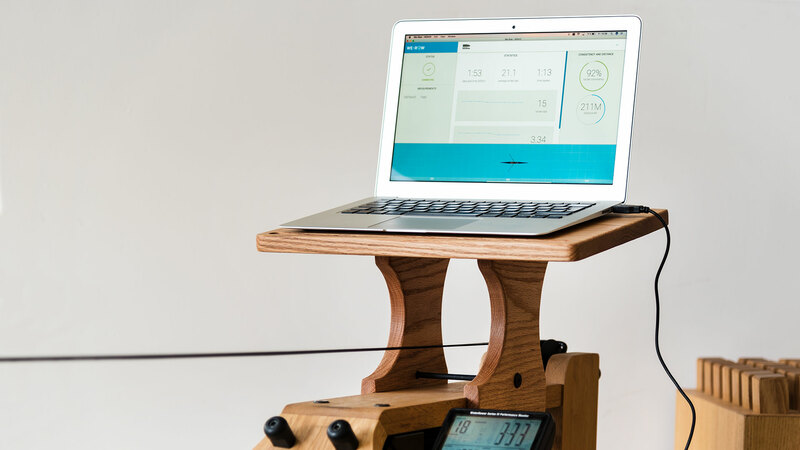 Connect, free of charge, with We-Row and race against other WaterRower owners. Or, if you prefer, set up your own private training session. You will have the option to store your data and access at any time, which will allow you to chart your progress and also share with other users. You have to be online to use We-Row function. You need a WaterRower S4 USB monitor to connect (2.10 Firmware). With We-Row you can row against other WaterRower owners or create your own training sessions. The rowing session screen shows your rowing specific data. Upon completing your rowing session you will see a detailed overview. Row online against other WaterRower users. Create your races at your desired date and time or join an existing race. Create your own private rowing training sessions or races. Your data will be saved and you are able to race against your previews races. Invite your friends to your race and see who is online. After racing you will be able to chat with your opponents. Create your own We-Row profile with your personal data. Your rowing data is available in your profile as well. 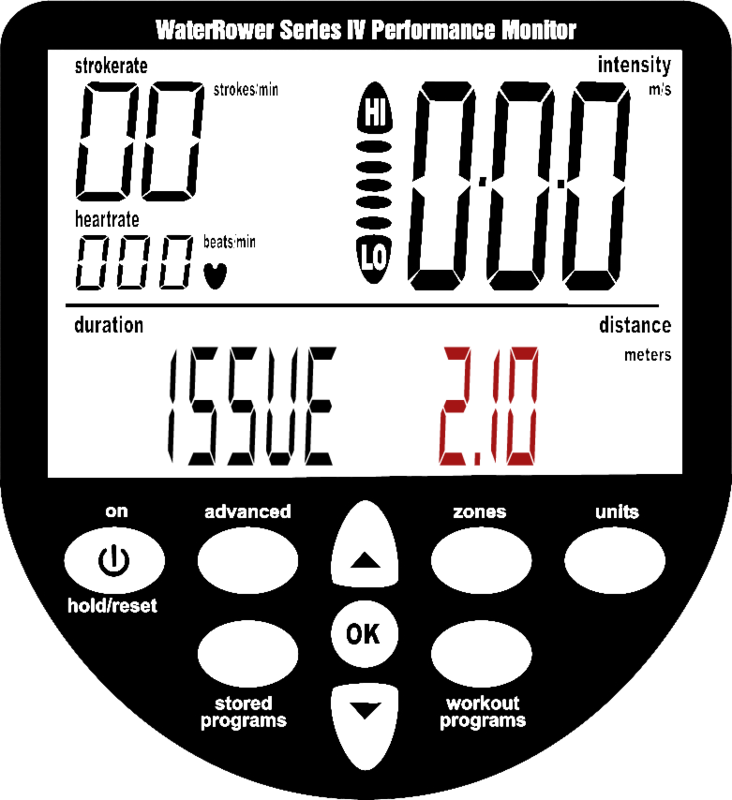 View the statistics feature to see the rower with the best times or the rower with the most meters. Use „connection“ to test if your rower is connected correctly and adjust the settings. Please check the following frequently asked questions. Do I need a WaterRower S4 monitor with USB and Firmware 2.10? Yes. 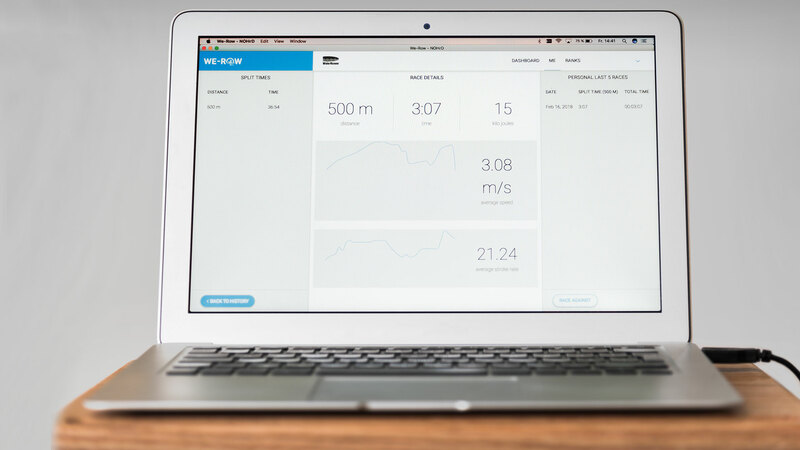 We-Row adjusts the racing data that is also shown on the S4 monitor with the help of with the USB port connection. Older models do not work. Am I able to update older versions? How do I check the installed firmware version? On the bottom right corner you can see the firmware version. Do I have to install a driver for my operating system? 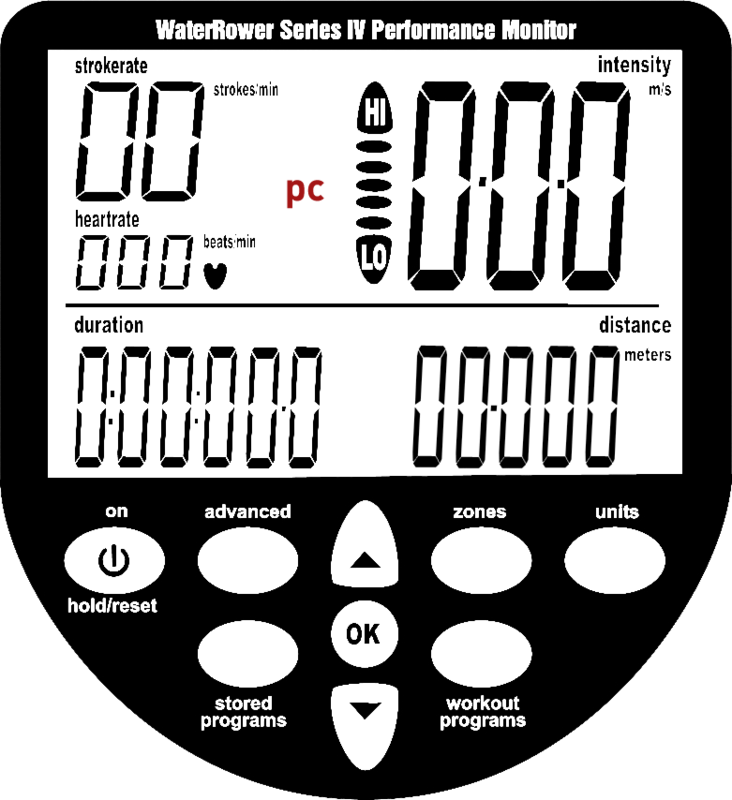 Usually your pc recognizes the WaterRower S4 monitor automatically. If this doesn’t work, you can download the Windows driver manually here. For "user" you have to enter your Linux username. Where "ttyACM0" may vary depending on how many devices you have connected, it also increments when you unplug and re-insert the device. Beside that it might be required to run the command several times before the application has access. You can just keep the application open and check if the device becomes available. How do I check if the S4 monitor is connected correctly? As soon as the S4 monitor is connected correctly a "pc" symbol appears on the S4 monitor screen. How can I row against my personal best time? As soon as you have finished a race or training session, you can re-load it in the "me" section.